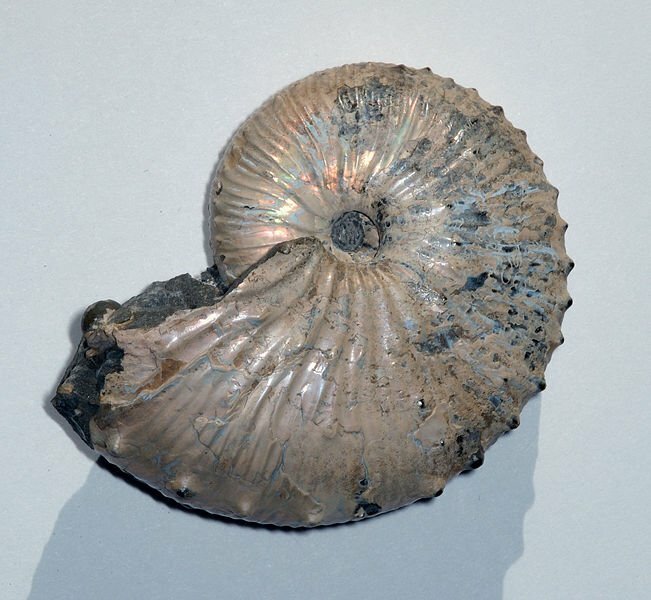 Photograph of a fossil ammonite Jeletzkytes spedeni taken by Dlloyd. The specimen is from the Cretaceous Fox Hills Formation. Locality - South Dakota, USA. Matrix free specimen, 7.5 cm (3") in diameter, displaying pearly aragonite preservation of the shell. This page was last modified on 20 January 2007, at 19:08.